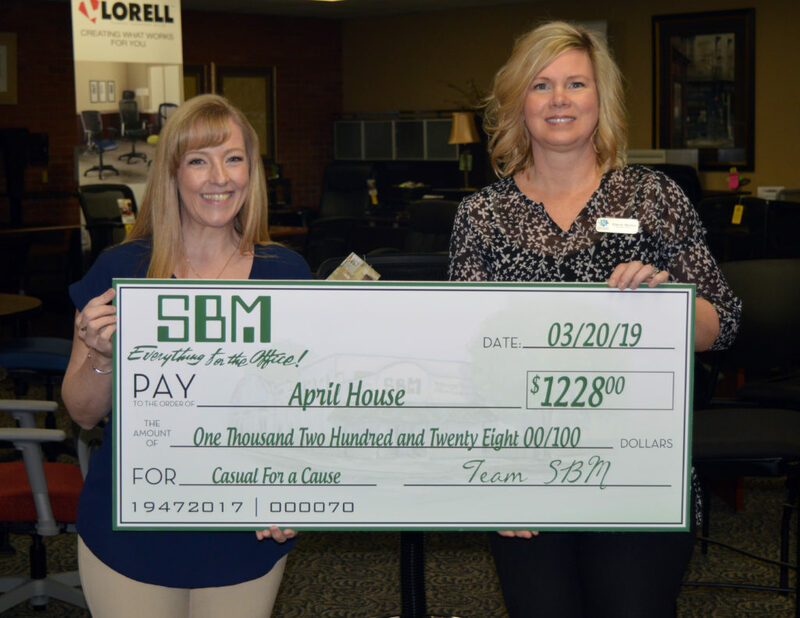 SBM and Employees recently donated $1,228 to the April House Children’s Advocacy in Morrison, Illinois. 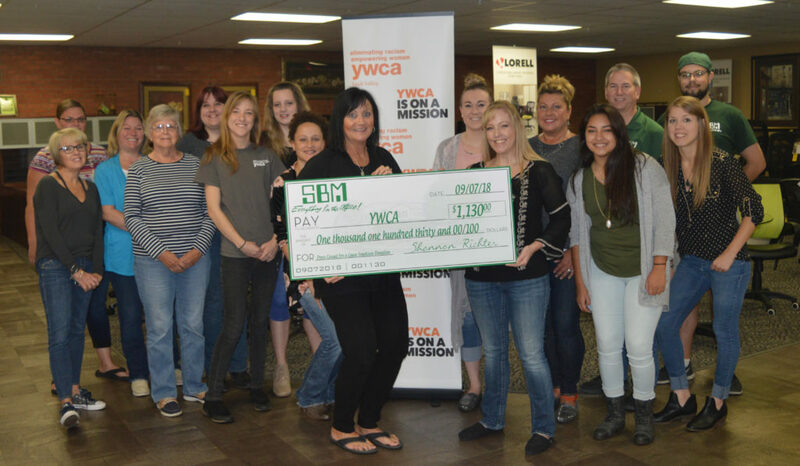 This donation was made possible by all SBM employees who participated in SBM’s “Casual for A Cause” Fridays. For the last 6 months, SBM employees can donate $5 every week to Casual for A Cause and they are allowed to wear jeans and dress casual during Friday that week. Thank you to everyone involved for contributing to this great cause! 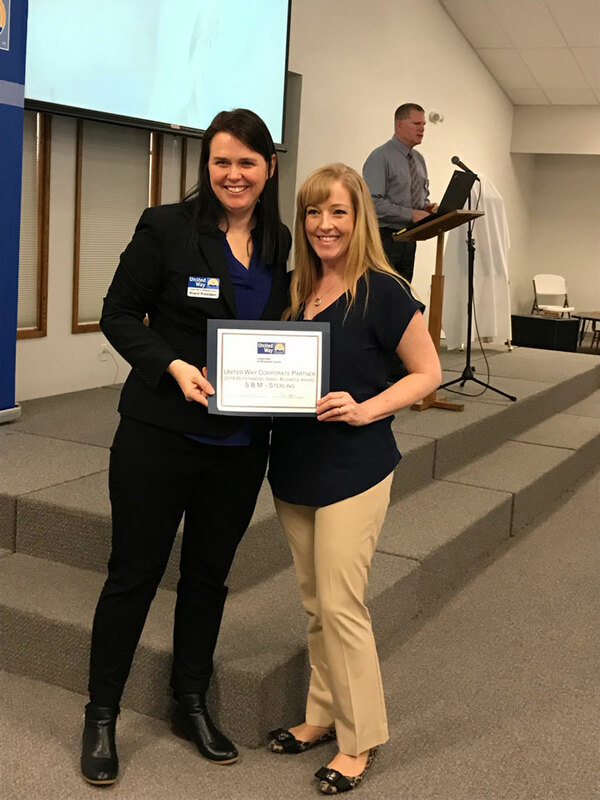 SBM is very appreciative and proud to have been awarded the United Way 2018 Outstanding Small Business Award. This award is given to the Small Business who increases employee and corporate pledge amounts to the United Way. 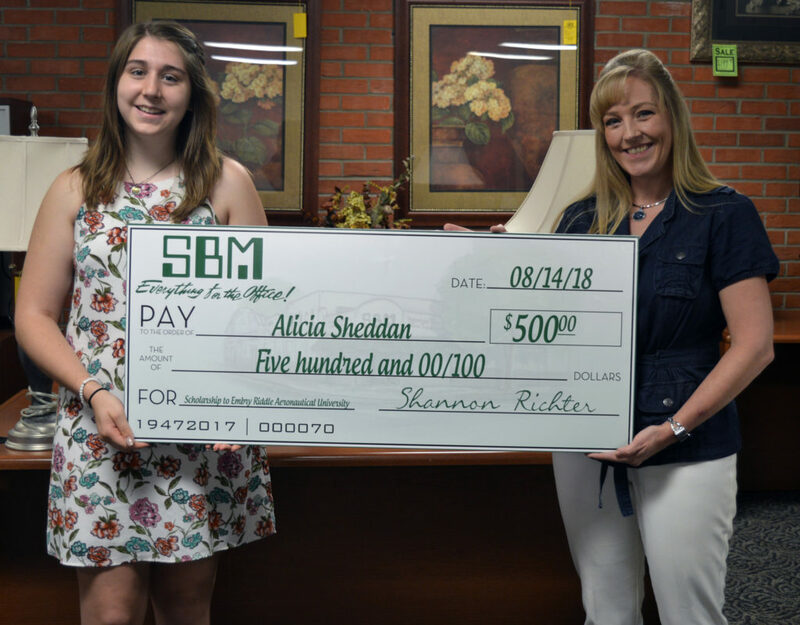 Pictured is SBM’s President, Shannon Richter, accepting the award. 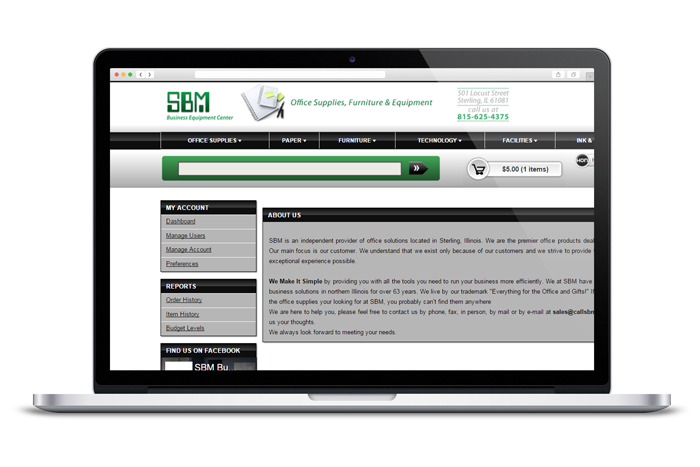 Sharp Imaging and Information Company of America has recognized SBM (Sterling Business Machines, Inc.) as a Hyakuman Kai Dealer. 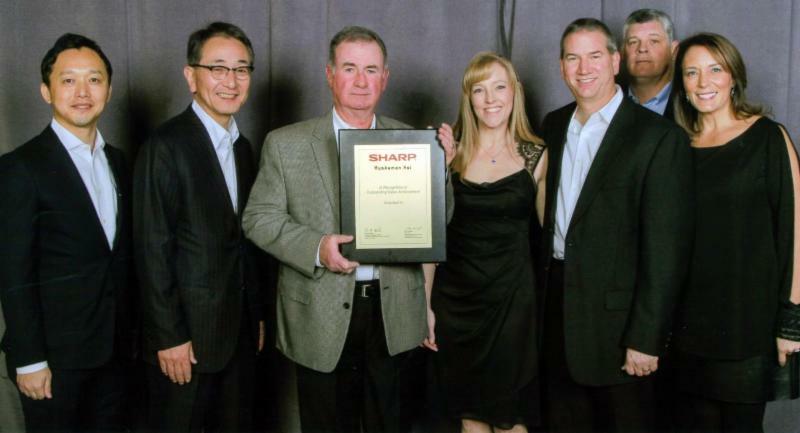 Sharp awards Hyakuman Kai status to outstanding dealers that have achieved $1 million in sales during the past year. This is SBM’s third year in a row of achieving this award. SBM is among a select group of dealers recognized by Sharp from the hundreds of dealers that sell Sharp’s advanced business products and solutions in the U.S.
Also recognized at this year’s Sharp Annual Convention was Terry Loring, sales manager of SBM for being in the top 10% of sales production in the Sharp dealer community. 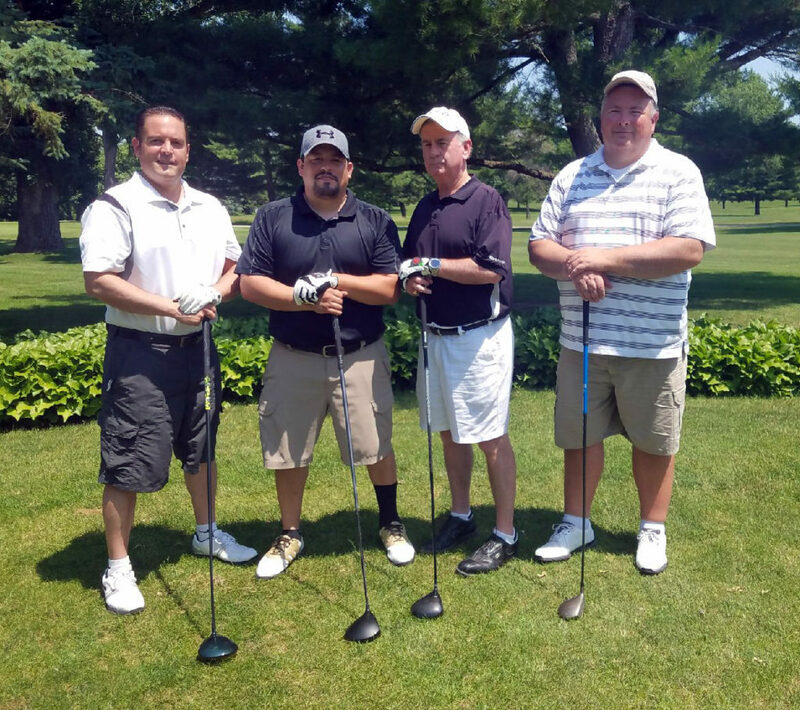 “This is a tribute to Terry’s dedication, knowledge, and commitment to his customers,” said Herb Richter. The U.S. AbilityOne Commission® is pleased to announce that Sterling Business Machines, Inc. has been recognized as an “OUTSTANDING” AbilityOne Program distributor due to your continual efforts to support the AbilityOne Program during Fiscal Year 2016. 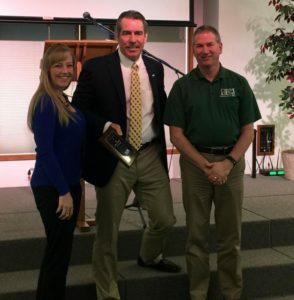 Shannon and Herb Richter were presented a plaque at this year’s annual luncheon of the United Way of Whiteside County. The plaque was to the Employees of SBM for the “2016 Small Business of the Year” award. SBM’s staffs contributions and SBM’s paper sales proceed program allowed SBM to proudly contribute to the United Way’s Campaign.